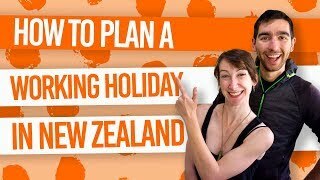 What to do in Cromwell? Only 50 minutes from Queenstown, the little town of Cromwell is your alternative lakeside hotspot. 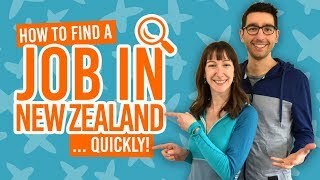 Known for it’s fruit production, Cromwell is not only a great place to sample New Zealand cuisine, it’s also an ideal location for backpackers seeking seasonal work in fruit orchards! On top of that, Cromwell is action-packed with jet boating, gold panning, cycling, hiking and its very own motorsport park. Discover it all this list of damn good things to do in Cromwell! There’s so much to do in this Central Otago town that you’ll definitely want to plan a few days. 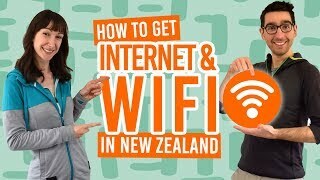 Save on the cents by staying in one of the 5 Best Backpacker Hostels in Cromwell. And be sure the explore the wider area, with some inspiration in our 10 Central Otago Must-Dos! Come on, Cromwell is known as the “Fruit Bowl of the South” and has a huge sculpture of fruit in the town, (which we’ll get more onto later). You have to see what all the fuss is about! Get yourself to one of the fruit stalls, such as the Jones Family Fruit Stall or Webb’s Fruit, and try some of the freshest produce you’re ever likely to try! Location: Jones Family Fruit Stall or Webb’s Fruit are on opposite entrances to the town of Cromwell on State Highway 6. Cromwell is the hub of the Central Otago region, a region full of awesome bike trails showcasing the best of the South Island. Cromwell has a few short rides of its own including the Cromwell to Bannockburn Lakeside Trail. It’s one of the easiest rides in the area and encapsulates some great scenery of Lake Dunstan, Old Cromwell Town and the Kawarau River. The ride ends at Bannockburn Bridge where you can treat yourself at the pub. There are also plenty of 4×4 and single track bike trails following Lake Dunstan. Location: Start at the Melmore Marina car park adjacent to Old Cromwell Town and end at the Bannockburn Bridge. Central Otago is one of the most popular wine-producing regions in New Zealand. Sample some of that famous Central Otago wine right here in Cromwell at one of the many cellar doors. You’re spoiled for choice with Misha’s Vineyard Tasting Room, Mt Difficulty Wines, Wooing Tree Vineyard, Carrick Winery… Just to name a few. Location: Around Cromwell and Bannockburn. It’s hard to visit Cromwell without seeing the huge sculpture of fruit. It’s one of the many towns in New Zealand with BIG things in it, and this one is to celebrate Cromwell’s status as the Fruit Bowl of the South. Get a photo with it and treasure it forever. 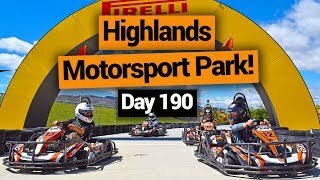 In the midst of the fruit orchards and vineyard, Cromwell has a home of epicness: the Highlands Motorsport Park! Jump into one of the supercars and experience true speed around their international standard race track. Or get behind the wheel yourself on the seriously fun go-kart track. Location: State Highway 6 & Sandflat Road. 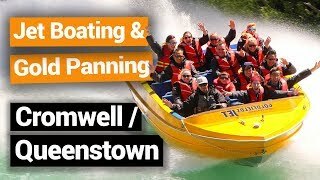 On the subject of speed, another adrenaline-fuelled activity in the Cromwell area is jet boating on the Kawarau River. Goldfields Jet will take you along the Kawarau River Gorge complete with near misses with canyon walls and 360 spins. There will be a little gold-mining history to learn about too. Location: 803 Kawarau Gorge Rd, Kawarau Gorge at the Goldfields Mining Centre. Gold mining is kind of a big deal in the Cromwell area and even after the Otago Gold Rush of the 1860s, you can still find gold in the surrounding rivers. Learn all about it and try your luck at striking gold yourself at the Goldfields Mining Centre. There’s a mix of fun activities here, from self-guided walks of historic gold mining machinery and awesome Kawarau River views to guided tours complete with the gold panning experience. 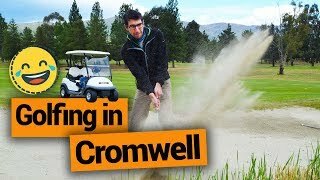 Cromwell is also home to the Cromwell Golf Club, a year-round golf course in the middle of town. Get some travel buddies together and battle it out on the green among pretty views of the surrounding mountains. Choose between 9-hole or 18 holes and get stuck into New Zealand’s most popular participation sport! There are eight fantastic walks in the Cromwell area. They’re a great free way of taking the scenery and seeing some relic of the gold mining history. Check out the Dunstan Lakeside walks for flat and easy strolls alongside this beautiful man-made lake. Or climb high on the Old Reservoir Track (30 minutes one way) that zigzags up to a former reservoir high above Lake Dunstan (find this walk 3km from the Deadmans Point Bridge over Lake Dunstan). And walk the Quartz-Reef Tailings, 8km from Cromwell off State Highway 8 heading to Tarras, for some interesting gold mining machinery and buildings on this 45-minute walk.